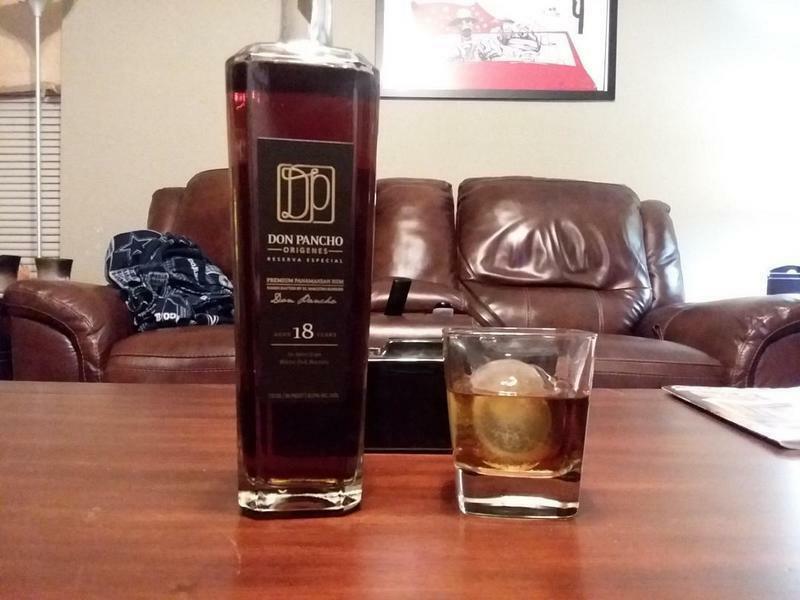 Have you found an online vendor selling Don Pancho Origenes 18-Year Reserva Especial? Eine sehr spezielle Flasche im Art déco Stil für diesen aussergewöhnlichen Rum. Ein richtiges Meisterwerk vom Meister Don Pancho Fernandez persönlich ! Die Farbe im Glas, ein Übergang vom Bernstein zu Mahagoni, eine Augenweide. In der Nase schwere Holznoten gepaart mit tropische Früchten etwas Gewürze und heller Tabak. Im Abgang macht sich eine schwere Süsse breit die nochmals Holz und Leder aufleben lässt. Ein wundervoller Rum auf höchstem Niveau, für spezielle Tage. A very special bottle of art déco style for this extraordinary rum. A real masterpiece by the master Don Pancho Fernandez personally! 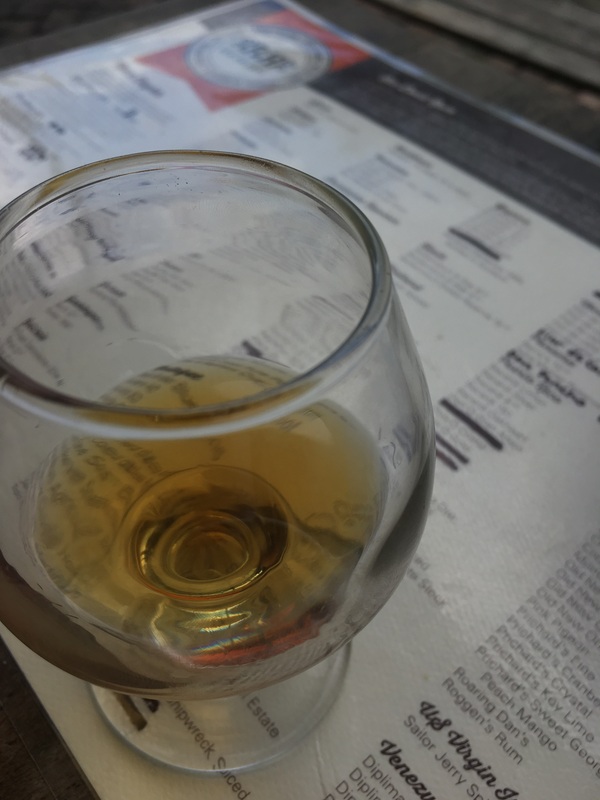 The color in the glass, a transition from amber to mahogany, a feast for the eyes. In the nose heavy wood notes paired with tropical fruits some spices and light tobacco. In the finish is a heavy sweetness which once again wood and leather revived. A wonderful rum at the highest level, for special days. Nice lacing on the glass. Smell is mildly sweet and alcohol. The taste is not too sweet, but not too hot like whiskey. Very easy to sip on ice. A little bit of vanilla, a little bit of smoke. Very well balanced. I'll keep a bottle around for an occasional drink. Goes well with a mild cigar. Aroma brings mollases and tea. Taste is at first shaded by alcohol biteness later there are hints of oak and dried fruit. Finish is bitter and longlasting with tones of bourbon. Overally not bad, but character seems to be quite unmatured for 18yo rum. Just was offered this rum as an alternative to the Quorhum 30...was ok...but in my opinion not worth the price. Fantastic aromas, very smooth, but nothing spectacular, especially for $60-$70 a bottle. There is a strange taste in there as soon as you swallow, it doesn't linger but it's not my favorite. Made me think about the Angostura's No. 1 2nd batch (purple label), but not as good. However, would like to those two side by side. Bartender recommended this for me yesterday. I liked it, not overly sweet and felt a little bit more 'mature'. Hints of dark fruits, apple, caramel, nuts, oak, vanilla. I usually don't smoke cigars but I had a Padron to this rum and as expected it was a very pleasant combination. Provided in a good looking square bottle, this rum has a beautiful red amber color. In mouth , it is sweet with inter alia vanilla aroma. This is a good rum but not a special one for me. Roughly a smoother version of the little brother. The aroma has notes of caramel, oak, figs and perhaps a little orange peel. It has nice body and unfolds in the mouth, with more pronounced orangepeel, caramel, wood, dates and figs. The somewhat lengthy finish is nicely warming and tingling. It's a nice rum but given the price difference, I would choose the 8 year over this one. This is indeed a very fine rum that appears to rather dry with hints of sweetness. The aroma is subtle in the bottle and the flavor is rather intense with what I consider a "bite" similar to how wasabi or horseradish hits (not implying at all that this rum tastes like wasabi or horesradish). Although dry I taste some vanilla essense. I have to agree with several others in that even though this is a very good rum it is not worthy of the price. There are many rums equally as good if not better that costs half as much as this. I suggest seeking those out and pass on this one. But if you must purchase a high-end rum, this one is not a bad one to get. This is by no means a bad rum. It just doesn't have anything to make it stand out, and at it's price you would expect that. Smells of butterscotch, sugarcane, vanilla, and allspice. Taste is similar. It's a good rum, but pricey for what it is. I personally prefer the Ron Abuelo 12 (for example), which is less than half the price. Definitely the stuff I look for with sipping rums. Smell: very nice, oak. Taste: very subtle mix of vanilla and oak, the latter being well pronounced (in a good way). I have no idea how much a full bottle costs (just had a couple of free glasses of it), so I can't comment on that. Aroma some like apricots & honey, really nice! Taste also is nice, but only nice, nothings more. For that kind of rum isn't enough. Hope exceeded real feelings, that was little disapointed for me. Nice Rum, but a Little top much Alkohol for my Sense. Quite good but no strong tastes or spectacular flavours, some hint of tea. Light sipping rum. Not overly sweet. Light amber color. 20ml uit een advent kalender. Typische Spaanse stijl. Hoestsiroop. Meh. Don Pancho is a legend in the rum business, so a rum with his name on it gives me very high expectations. It doesn´t hit a 10/10, but it is still a pretty damn good blend. 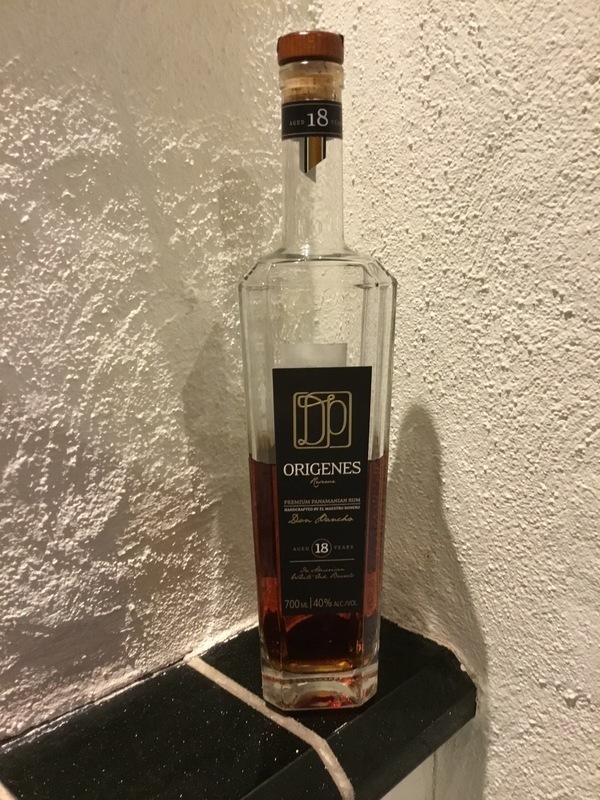 Overall: The aftertaste is a little to bland for me, but apart from that this is a really nice rum blend that you should try if you can get your hands on it. Sweet and smooth aromas of fruit, caramel, vanilla and a bit of oak. A very pleasant aroma. In mouth you get some bite from the alcohol and sweet flavours of fruit and dark chocolate. You also get some oak and spice. This rum is sweet but not to sweet. The finish is a bit harsh and quite long with sweetness and oak. A little bit too much oak and spice for my taste but still a very good rum.